3158 - Photo: Nigel Petre Collection. On Sunday 5th March 1978 55003 (D9003) "MELD" is seen at Reading with the 1Z15 08:15 Paddington - Paignton "Deltic Ranger" RPPR railtour - and that awful headboard!. 3157 - Photo: Nigel Petre Collection. 0825 - Photo: Nigel Petre. ...On Sunday 5th March 1978 55003 (D9003) "MELD" is seen shortly after arrival at Paignton with the 1Z15 08:15 Paddington - Paignton "Deltic Ranger" RPPR railtour. 05/03/78 - 1Z15 08:15 Paddington - Paignton, "Deltic Ranger" RPPR railtour Deltics at Work: Page 119. 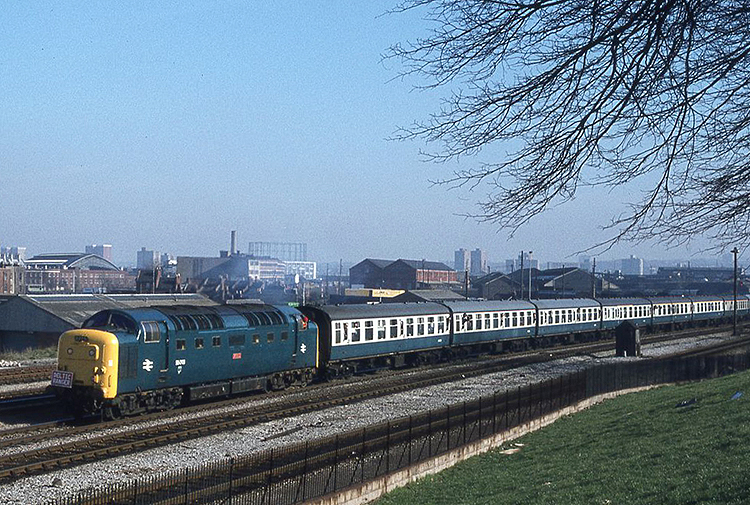 05/03/78 - 1Z15 08:15 Paddington - Paignton, "Deltic Ranger" RPPR railtour Deltic Deadline No.37: Page 14. 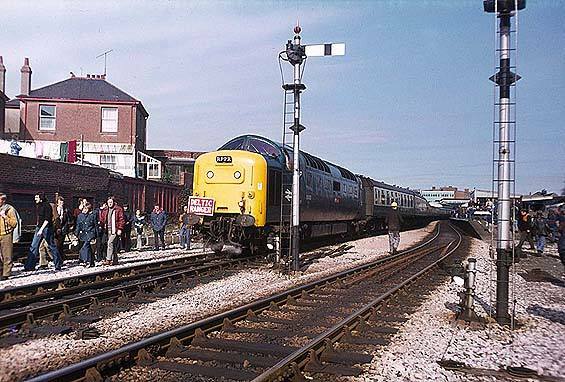 05/03/78 - 1Z15 08:15 Paddington - Paignton, "Deltic Ranger" RPPR railtour The Deltic Years: Page 110. 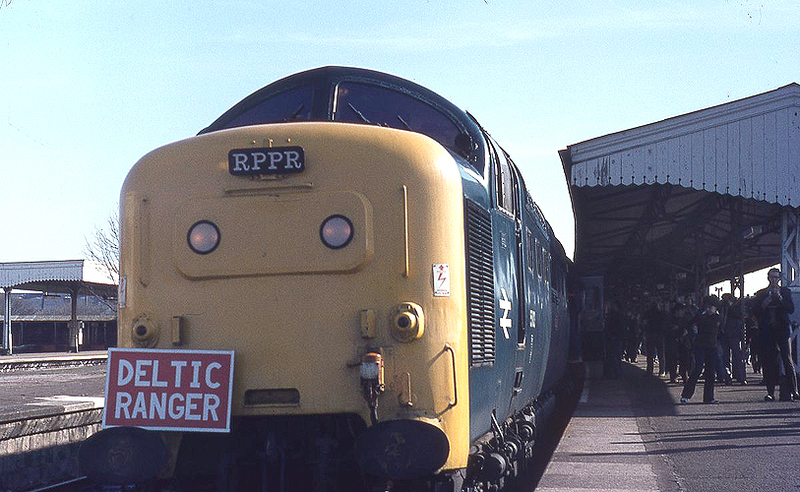 05/03/78 - 1Z15 08:15 Paddington - Paignton, "Deltic Ranger" RPPR railtour In Memory of the Deltics: 55003 section. 05/03/78 - 1Z15 12:35 Paignton - Newton Abbott. Deltic Deadline No.69: Page 10. 05/03/78 - 1Z15 12:35 Paignton - Newton Abbott. Locomotives Illustrated No.17: Page 37. 05/03/78 - 1Z15 17:25 Newton Abbott - Paddington. Deltic Deadline No.40: Page 18. 05/03/78 - 1Z15 17:25 Newton Abbott - Paddington. Deltic Deadline No.104: Page 7.